A modernized version of the classic combat knife! The original 7 inch knife was issued to US Army and Marine Corps servicemen during the Second World War, with a full leather sheathe. This practically sized black knife with 5.25 inch blade is intended the modern operator. 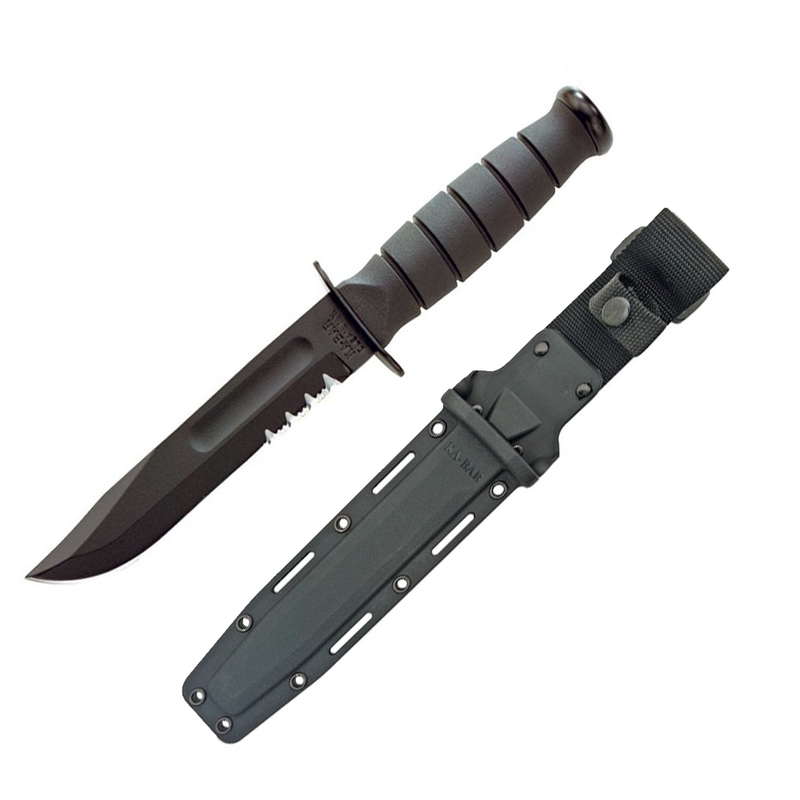 The tang is stamped USA, in the style of the classic fighting knife, and a glass-lined Kydex sheathe is included. Potential to “trigger” 1911 carrying babyboomers: High, very VERY high!